Kurtz calls out FNC; Stelter doesn’t mention?firing of Hill. 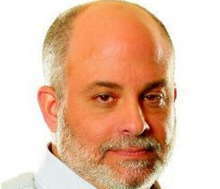 Beck, Levin merge companies, creating ‘media powerhouse‘. Barghouti: CNN caved to pro-Israel lobbies. ?Today’s apology. Williamson: The real reason Hill was fired (it wasn’t his views). Vought: Pundit books are trite, but Tucker’s is hilarious and pithy. Updated 2:25 pm? ?Use our valuable bandwidth to post your?cable news comments?in today’s open thread. Greenwald rips CNN for ‘cowardly and pitifully’ firing Hill. Thursday numbers: Rachel Maddow-O’Donnell-Tucker 1-2-3. 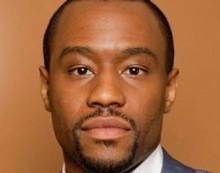 Hill’s speech came shortly after CNN report on anti-Semitism. CNN suddenly close-lipped on Avenatti. ?Vester vs NBC?part deux. CNN hypes?fake hate crime on eve of MS election. ?Today’s apology. Updated 5:50 pm? ?Use our valuable bandwidth to post your?cable news comments?in today’s open thread. Nov 2018 program ranker: Sean Hannity tops both charts. Harsanyi: Stelter, CNN won’t condemn in-house anti-Semitism. 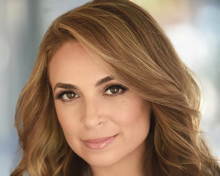 Return of the Jed-Eye: Jedediah Bila coming back to Fox News. Schwartz: Fox News tacit boycott of twitter enters fourth week. Somerby: It’s very hard to get dumber than Lemon, Powers, et al. Impartial CNN anchor: warming climate may burn us all to death. Scarry: Do MSNBCNN care about vulnerable women and children? His kiss is on their lips. ?Soledad slams CNN. ?Counterfeit Kimberly. Linda Vester: ?NBC’s empty steps haven’t stopped the harassment. 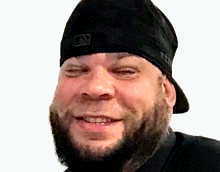 ‘Has-been’ Tyrus finds ‘redemption’, now hosting on Fox Nation. McLaughlin: Fox Nation ranges from ‘intolerable’ to ‘compelling’. Fox Nation: A Netflix for superfans; a second helping of opinion. Britt McHenry: Un-PC will go beyond usual Trump-focused issues. No photos at the National Archives…unless you’re Joe and Mika. Everyone agreed: Hyde-Smith is a racist and a ‘white supremecist’! MSNBC won’t air live briefings because it can’t ‘filter’ the content. Then EPA chief Scott Pruitt OK’d questions, intro of?F&F segment. CNN terrorism analyst: hamburgers are deadly. ?Today’s fake news. Tuesday’s numbers: Tucker-Hannity-Laura Ingraham 1-2-3. 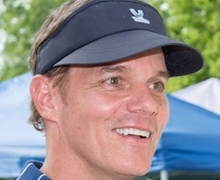 Bill Hemmer talks covering midterms: We ‘stick to the facts‘. Athey: Top 25 ‘hateful, violent’ media attacks on Trump admin. Murdoch’s vision really is a ‘new’ Fox. ?Lisa Ling in Tallahassee. CNN all but ignoring anti-Semitic comments by Dem candidate. Impartial CNN anchor: ‘White men‘ are the biggest terror threat. Tucker?videos: Whose birthright is it anyhow? War of words escalates between Megyn, NBC, and The Daily Mail. 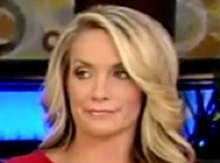 Megyn cut from Ailes series. ?Survey says: NBC ‘too harsh‘ on Kelly. Joe: Trump’s baseball tweets?are messages to white supremecists! Ex-CNNer: ‘Absolutely shameful‘ CNN blamed Trump for massacre. Tuesday’s numbers: Sean Hannity-Tucker-Laura Ingraham 1-2-3. 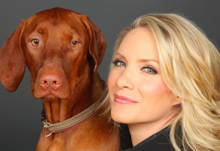 NBC lets Today hosts?attack Megyn on air. ?Apology part deux. Payback? NBC quick to cover Megyn flap. ?The balcony is closed. Rush to judgment: Sonny Hostin, S.E Cupp agree, blame Trump! CNN HQ evacuated over ‘suspicious package’ discovered on site. NBC streaming news service to feature MSNBCers Tur, Kornacki. CNN?Beto hour didn’t move the needle, so MSNBC to the rescue! Kushner is the?token Republican at CNN event. ?Q&A: Chuck Todd. Unanswered questions. ?Bill Weir gets owned…twice. ?Brian’s oops. Updated 5:40 pm? ?Use our valuable bandwidth to post your?cable news comments?in today’s open thread. 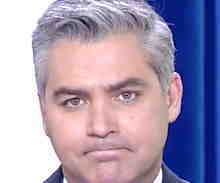 Friday’s numbers: Laura-Tucker Carlson-Sean Hannity 1-2-3. 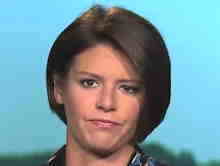 Impartial MSNBC anchor: GOP candidate is ‘sexist’ and ‘mean’. Tucker on furor over Khashoggi: ‘It’s a game; don’t play along‘. Today’s fake news: Cruz has ‘slimmest of leads‘ over O’Roarke. Candidate slams CNN for ‘misleading poll‘ ahead of first debate. Updated 6:38 pm? ?Use our valuable bandwidth to post your?cable news comments?in today’s open thread. Tuesday’s numbers: Sean Hannity-Tucker-Ingraham 1-2-3. Laura Ingraham, now with limited commercial interruptions. 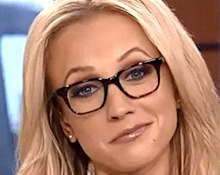 Fox Nation schedule: Shillue, Tomi, Shimkus, Tyrus et al daily. On new?Bulls & Bears panelists paid tribute to Brenda Buttner. Erik Wemple insists?Fox Business pull out of Saudi conference. Concha: Media embrace of Liz Warren ‘heritage’ an epic failure. ICN: Why not shut HLN down and come up with something new? Audio Q&A: Tucker talks cable news, populism, Trump, and more. ’24/7′: CNN’s Stelter claims every program on Fox is propaganda? Johnson: Heather Nauert ‘in the mix‘ to replace Nikki Haley at UN.